Registration is closed for the 2018-2019 year. Check back for open registration mid-summer! 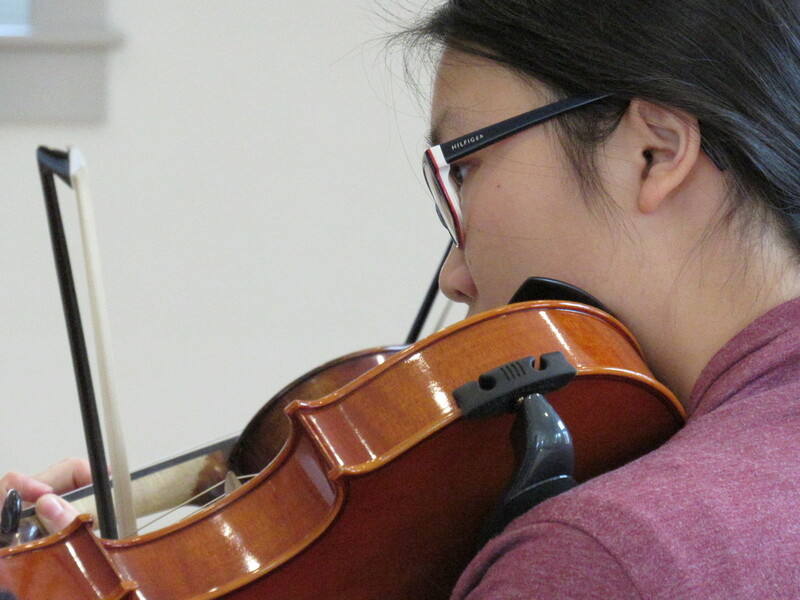 Our conductorless string chamber ensemble (fewer than 20 musicians) is accepting applications via teacher recommendation OR audition. ​There is currently no other program like it in the Amherst area. This is not a substitute for your school orchestra and we encourage everyone to do both, if possible. We accept applications and make decisions based upon the teacher's recommendation or via audition. Violins will have a chance to play 1st and 2nd violin, as well as playing in different parts of the section. The ensemble consists of only violins, violas, and cellos and has no conductor. Often, there will only be one person per part, like true chamber music. Students have the opportunity to play as true chamber musicians in a small string orchestra without a conductor. ​Rehearsal and performance location: Immanuel Lutheran Church in Amherst. Students are expected to play for the entire season and perform on the concert in Spring. All students are required to attend the dress rehearsal (April 6) in order to play the concert. Anyone registering mid-year will be accepted if there is space and the level is high enough. *Registering does not guarantee placement in the ensemble. Once we receive your registration, we will contact your teacher and you will receive an email from us letting you know if your registration has been accepted or not.